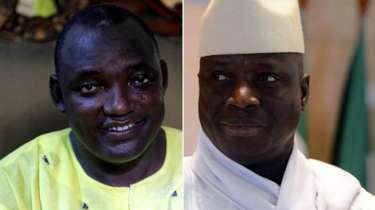 Nigeria soldiers will, on Wednesday (today), arrive at a base of the Economic Community of West African States troops in Senegal to ensure that President Yahya Jammeh of the Gambia steps down on Thursday, January 19. The Punch reports that the troops would be briefed by the Chief of Air Staff, Air Marshal Sadique Abubakar, in the early hours of Wednesday, before leaving for Senegal. He said, “I can confirm to you that men of the Air Force will leave for Senegal tomorrow (Wednesday). They will be briefed by the Chief of Air Staff, Air Marshal Sadique Abubakar, at the Kainji base in Niger State.